I hope that you all had a terrific Mother's Day! I know that I did! It didn't rain at all this weekend and I was able to get outside and pull weeds. It is amazing to me how fast those weeds grow! As I was tugging on a very stubborn and persistent dandelion, I had to grudgingly admire the tenacity and ability that dandelions possess. Not only do they manage to grow and thrive in the very poorest of soils, they also manage to produce a very lovely flower. So, I had to mull that over in my little brain and it occurred to me that we all could learn a lesson from what most of view as a very lowly, no good, pain-in-the neck weed. So, here is my Monday Morning "Lesson from A Dandelion:"
The dandelion is very hardy, resilient plant that can survive and thrive, successfully, in the worst of environments. If it tries to grow in your lawn or flowerbed, you can pluck it out and it doesn't care nor does it get offended. It just continues to grow in the neighbor's yard or by the side of the road. Besides the arrival of the robins, nothing else signals the arrival of spring more than the sudden appearance of the big, beautiful dandelion flower. 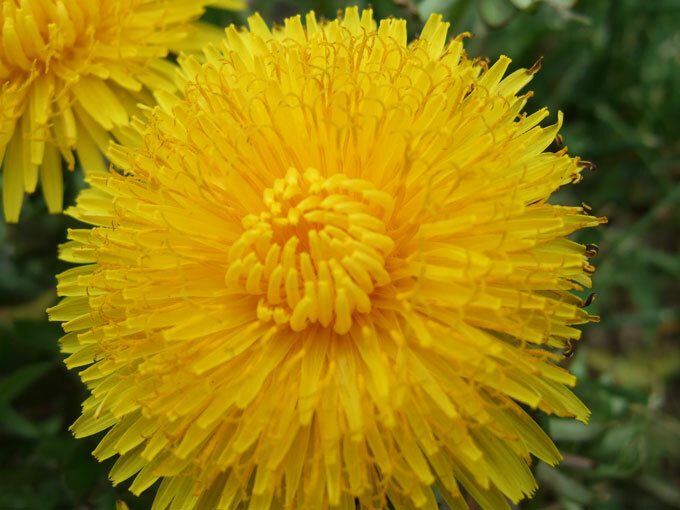 Like the lowly dandelions, each and everyone of us have worth and value: we DO matter! Sometimes our worth is not recognized by others around us, but that doesn't mean that we aren't special in our own unique way. We need to take inspiration from the dandelion and recognize that the power lies within us to thrive, despite obstacles put in our paths. Check out the Cascade Action Pacs & Walmart Gift Card giveaway going on at my other blog! Click the link to enter! Giveaway ends tomorrow (at 11:59PM CT). Dang... I'd made it my mission for the summer to kill something of worth and value... It's still the dandelion. Should we consider the dandelion like the lily? They neither toil nor worry? Duke, I love the comparison of the dandelion to the lily!!! Weird. I posted on this a few days ago, but my comment is not here. Well...to reiterate, I said that this is a fantastic post! I like the perspective! You have been quiet for a few days now. Are you well? That is such a great post! I like dandelions, although I don't let them thrive in my lawn - you've given me more reasons to like them!